Large apartment recently renovated! Low level. 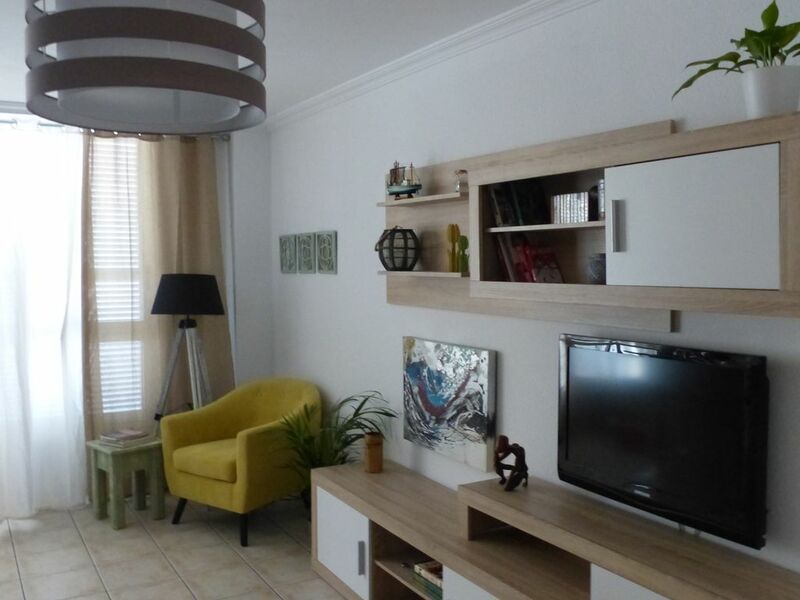 Excellent location just 100 meters from the sea. Around you will find all the services you may need during your stay; supermarkets, restaurants, coffee shops, pharmacy ... Wifi: It has high-speed optical fiber and private television channels (Movistar Plus). The main bedroom has en suite bathroom with 1.35m bed, 2 more bedrooms with 1 bed 90cm each, plus a sofa bed in the living room for the 5th guest. Second bathroom with shower, fully equipped kitchen, living room, air conditioning and interior patio with washing machine. It has an area to work with laptops (desk and comfortable chair) in one of the individual bedrooms. For a pleasant stay we offer you an apartment with everything you need such as bed linen, towels and basic services. Perfect stay for couples, families and lovers of water sports such as surfing, kite surfing and windsurfing. Who has no experience in water sports? Do not worry about the Médano there are a variety of schools with different prices for their introductory classes. Start your adventure and book your stay. Antonia is a very helpful owner. It was our first time to El Medano and she met us at the apartment despite our late arrival. Basic provisions and a bottle of wine were there to welcome us. Thank you very much to Peter and to his friend for being so nice, tidy and clean. We would be charmed with seeing them for our apartment again. Water sports, kite surfing, surfing, windsurfing, sailing schools, kayaking, golf, hiking. Good restaurants with international and local food.